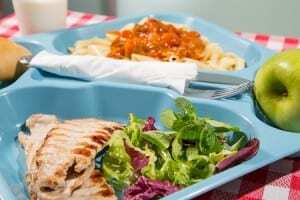 The U.S. Department of Agriculture announced the projects selected to receive the USDA’s annual farm to school grants designed to increase the number of local foods served in schools. Sixty-five projects were chosen nationwide. According to the 2015 USDA Farm to School Census, schools with strong farm to school programs report higher school meal participation, reduced food waste, and increased the willingness of the students to try new foods, such as fruits and vegetables. In addition, in the school year 2013-2014 alone, schools purchased more than $789 million in local food from farmers, ranchers, fishermen, and food processors and manufacturers. Nearly half (47 percent) of these districts plan to purchase even more local foods in future school years. Grants range from $14,500 to $100,000, awarding a total of $5 million to schools, state agencies, tribal groups, and nonprofit organizations for the farm to school planning, implementation, or training. Projects selected are located in urban, suburban and rural areas in 42 states and Puerto Rico, and they are estimated to serve more than 5,500 schools and 2 million students. Grantees include the Nebraska Department of Education, which will refine and expand the “Nebraska Thursdays” program, which will focus on increasing locally sourced meals throughout Nebraska schools, and the Virginia Department of Education, which will focus on network building to ensure stakeholders from all different sectors are leveraged. Both the South Dakota Department of Education and the Arkansas Agriculture Department will use training grants to build capacity and knowledge about the relationship between Community Food Systems and Child Nutrition Programs. More information on individual projects can be found on the USDA Office of Community Food Systems’ website at www.fns.usda.gov/farmtoschool/grant-awards. USDA’s Food and Nutrition Service administers 15 nutrition assistance programs that include the National School Lunch Program, School Breakfast Program, Supplemental Nutrition Assistance Program, Special Supplemental Nutrition Program for Women, Infants and Children (WIC), and the Summer Food Service Program. Together, these programs comprise America’s nutrition safety net. Farm to school is one of many ways USDA supports locally-produced food and the Local Food Compass Map showcases the federal investments in these efforts. For more information, visit www.fns.usda.gov.